I recently got a Segate FreeAgent Desktop 320GB external hard drive and I’m pleased to say I’ve been quite happy with it so far. There are many other similar external storage devices in the same price range & category such as the Western Digital My Book and the LaCie Hard Drive, but I ended up going with Seagate because of the price and for some of the items mentioned in this review. The packaging was clean and secure. Other than the hard drive itself, only the power supply, USB 2.0 cable, and Warranty Card are included in the box. The FreeAgent’s body is made of plastic, but was quite robust. The unit has a fancy design with a glossy top and upper base. The front of the hard-drive light ups with a neat orange-colored light making it looks like some sort of DVD drive. The light only turns on when the USB cable is plugged in. In fact the hard drive actually turns itself off as soon as it is disconnected from a computer. I’m no expert, but some say it is better for the drive to turn itself off as this one does and others argue that it is better to have a drive running constantly at the same speed with a constant temperature. Speaking of temperature, the base of the unit is the FreeAgent’s heat exhaust. It probably do the job better if it was placed on the back, but the drive didn’t seem to warm up too much during the stress test anyways. Either way don’t complain since LaCie doesn’t even have a fan and many of their drives have ended up overheating (causing data loss) during heavy use. The setup process was as simple as it could get for Windows XP and Vista users. Just plug it in and it was ready! However Mac OS X users unfortunately have to waste a few minutes reformatting the NTFS drive. On the bright side, no drives or software was needed for either operating system. Performance-wise, it was pretty acceptable. For example most real-life users wouldn’t be able to notice the speed difference between the Seagate FreeAgent or the Western Digital My Book. However when benchmarked, the My Book did in fact performed slightly better. As mentioned previously, our unit was the 320GB model, however Seagate also offers the FreeAgent Desktop in 250GB and 500GB capacities. All three models are SATA II drives running at 7200RPM with 16mb of cache. Seagate also offers a 5-year warranty which covers any hardware malfunctions, but NOT data loss. The drive has been available for a few months and costs only $85 for 250GB, $99 for 320GB, and $130 for 500GB. If you don’t already backup your data we highly recommend investing a bit of money into it. If your hard drive with all its important content happens to fail, restoring the data can cost as much as a few thousand dollars! 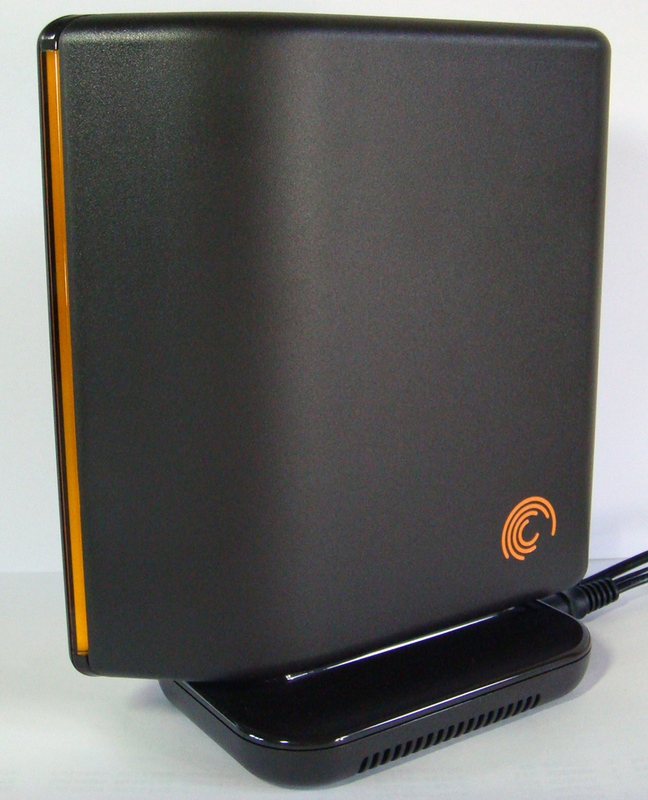 Whether it be the Seagate FreeAgent, LaCie Porsche, or Western Digital My Book, BACK UP! I want to know if there is a fan in this hard drive ? Yes it has a fan in the base which blows air towards the sides. I have noticed mine gets a bit warm during lots of data transfer, but it has never failed on me to date. If yours is giving your problems, I highly recommend you contact warranty and they should replace it. Sadly, the FreeAgent does have a problem with overheating. My 1 Terabyte recently fried itself, with my computer unable to ‘read’ any of the data on my external, losing the 300 GB worth of data I had stored. I’m very upset with the lack of data recovery (well, you have to pay $1700 via Seagate’s company to get your data off the machine). It lasted about eight months before it’s premature demise, and I’m now at a loss as to how to get my data back without paying a fortune (I know realize how important it is to back-up a back-up, but one really shouldn’t have to). Very disappointed in the product. I would not recommend the Seagate external drive. I have the desktop and after about 13 months it crashed for no reason at all. 300 GB of data lost. I will never buy any product from Seagate again.. I agree. Mine worked for a few months and then files started disappearing, and eventually my computer couldn’t read it and the hard drive would actually crash my computer every time I plugged it in. I am not a happy with this at all. All of my pictures are gone for good.